To Be Continued: A Superhero Cliffhanger (Division 2) crowned New Jersey State Champions! Our "To Be Continued: A Superhero Cliffhanger" Division 1 team traveled to Ewing High School to compete with great OM teams from across the state. Five Collingswood Recreation Program Odyssey of the Mind teams traveled to the New Jersey State Finals on Saturday, April 8 at Ewing High School in Ewing, NJ. There they competed with dozens of other teams from across the state. The teams qualified for state finals after being awarded 1st, 2nd, or 3rd place at the Lighthouse Regional Tournament in March. To Be Continued: A Superhero Cliffhanfer, Division 2 (6-8th grade) - 1st Place, New Jersey State Champions, and the top scores in the Long Term category. This year, made up of experienced OMers and OMers competing for the first time, is coached by Alyson Wiecek and Shannon DiMasi. Congratulations OMers! We are tremendously proud of all our OMers and applaud their creativity, dedication, and teamwork throughout the 2016-2017 OM season. Thank you coaches, parents, and volunteers who made this possible. 2017 World Finals will be held May 24-27 at Michigan State University in East Lansing, MI. They will compete with more than 800 teams from across the country and the world. Having seven teams invited to World Finals in five seasons is a fantastic achievement for our program. 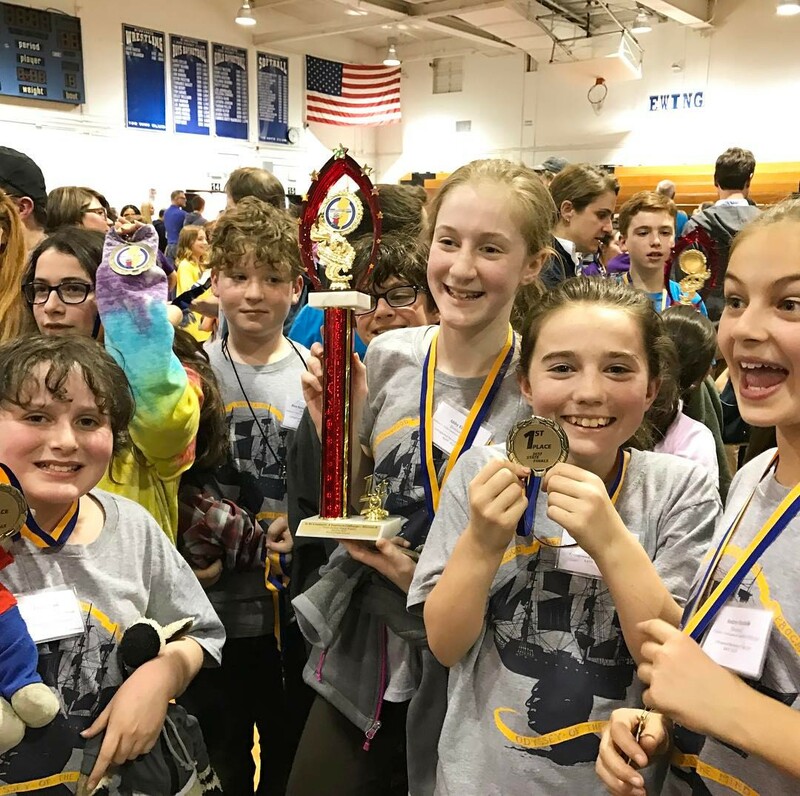 The Collingswood OM Booster Club is raising money through to send this team of smart, creative, hard-working kids to World Finals. Your donation will help the Booster Club pay for registration fees, room and board, and transportation for the kids and their creative contraptions. Thank you so much for your support.